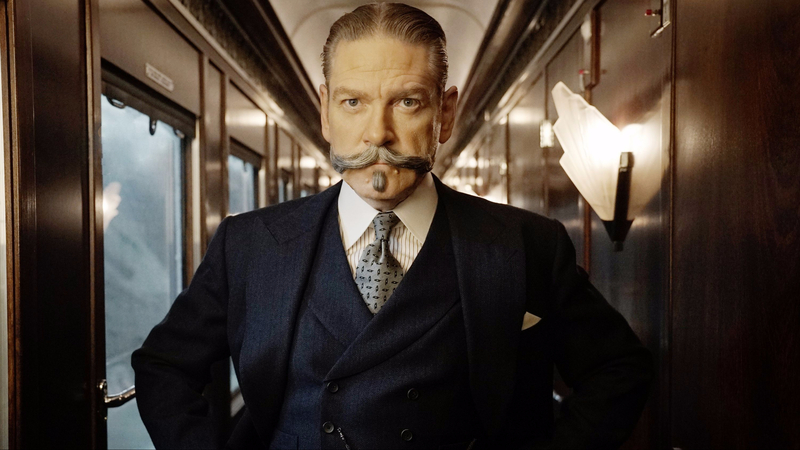 The world’s most famous detective, Hercule Poirot (Kenneth Branagh), is about to embark on a long overdue holiday in this lavish re-telling of Murder on the Orient Express. His friend, Bouc (Tom Bateman), secures him a place on the eponymous train. Poirot’s holiday is cut short when one of the passengers turns up dead, and only the detective’s unmatched powers of reason can deduce whodunnit. For many viewers, Agatha Christie’s famous detective will be forever defined by David Suchet’s long-running performance in the TV serials. Yet Branagh’s performance here is arguably no less recognisable, every hair of his luxuriant moustache meticulously sculpted, his eyes twinkling and his purpose singular. In front of and behind the camera, Branagh’s exuberance can sometimes grate, but as director and star he shines here, his histrionic style perfectly suited to Christie’s iconic detective. Indeed, there’s little attempt to update, darken or otherwise mess with the original formula, and Branagh leans into the story’s ITV Christmas Special trappings with aplomb. Of all this year’s releases to take your Grandma to, this is surely the one. This isn’t to say Murder on the Orient Express isn’t cinematic: the film is consistently gorgeous, with the train’s opulent, deep colours juxtaposed with the pearly white of its snowbound sojourn. A tracking shot of Poirot marching through the train’s carriages, elegantly introducing us to each of the film’s key players, is classically-old school and as much a tribute to the unshowy craft of early Hitchcock as it is a storytelling device. Less successful, perhaps, is the mystery’s pacing. The brisk running time is certainly appreciated among more ponderous detective fare, yet we rarely feel that crucial involvement with the crime-solving that satisfying crime thrillers thrive on. Additionally, the emphasis on Poirot’s OCD tendencies has the unintended effect of reducing his traditionally extraordinary powers of deduction to merely noticing when things are out of place. While the players are all stellar – Daisy Ridley, Judi Dench and Derek Jacobi standing out in an avalanche of talent – the breathless pacing gives us precious little time with any of them, though what we do have is deliciously entertaining. Murder on the Orient Express is far from groundbreaking cinema in either conception or execution. Branagh is a perennially competent if unexciting director, but he is on confident form with the material. Whether or not you already know who the culprit is, this solid retelling of Christie’s best-known mystery is wonderfully enjoyable, if not entirely intriguing. The film’s terrific cast, lush visuals and witty screenplay are the perfect remedies to the long, cold nights of winter. In years to come, Murder on the Orient Express is sure to become a fixture of Christmas time repeat viewing.